Secure, Mobile Ready Websites are Now Mandatory – We’ll help you meet these new ranking requirements. We are always looking out for our client’s best marketing interests. 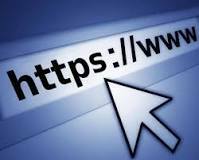 The newest ranking algorithm websites must employ is the implementation of secure HTTPS (Hypertext Transfer Protocol Secure) According to Google, this is an internet communication protocol that protects the integrity and confidentiality of data between the user’s computer and the site. There are indications that the major search engines are now scoring site higher who have implemented https. 3 years ago Google, followed by Bing/Yahoo rolled out their Responsive Design algorithm. Essentially what this means is that if your website is not built with the new “responsive design” standards your website will be penalized. Add to this the newest requirement for secure https protocol. If you don’t have this currently, you will receive a lower ranking and thus loose visibility – as you know, loss of visibility is loss of business. If you’re uncertain, we’ve got you covered here – Click on this link to check if your website is compliant. If you’ve not already updated to the new standard in web design, we’ll be happy to show you the options of a top notch new responsive design website that is also perfectly coded to rank high in the search engines. Call us at 802 380 9539 or use our contact form and we’ll get in touch with you right away.